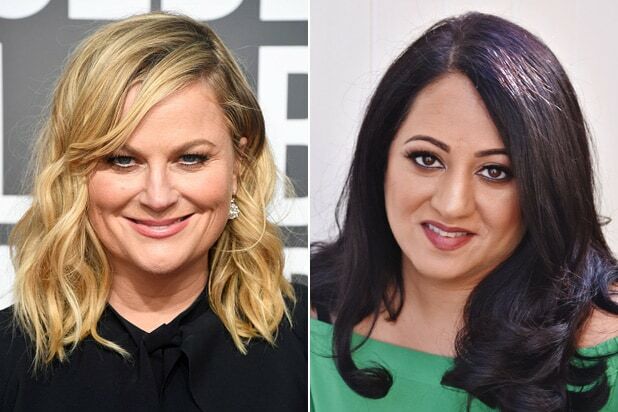 NBC has picked up another comedy pilot, this time from executive producer Amy Poehler and writer Aseem Batra. The untitled project, a single-camera comedy from Universal Television, “shows one woman’s hilarious unfiltered take on the side effects of trying to have it all.” Batra, an alum of “Scrubs,” “The Cleveland Show” and NBC’s “Marlon,” will serve as writer and executive producer. Poehler will also executive produce through her Paperkite banner, alongside Dave Becky of 3 Arts, director Julie Anne Robinson of CannyLads Productions and Josh Maurer. Kelly Pancho and Kim Lessing are producing. NBC has already ordered five comedy pilots this season, four of which — Mike Schur’s “Abby’s,” Brian Gallivan’s “Friends-in-Law,” as well as “Like Family” and “So Close” from “Will & Grace’s” Sean Hayes — have been multi-cameras. The network’s only other single-camera comedy pilot so far is “Guess Who Died” from Norman Lear and Peter Tolan. Usually you'd have to be something other than a sports fan to be willing to skip the Super Bowl. But this year you may really be feeling the fatigue of watching the Patriots play for about the 100th time in the big game. If that's the case, look no further. Whether you want a dose of animal-related cuteness or to catch-up on a series with a binge-watch session, this viewing guide is the list for you. Can you believe this has become such a perennial favorite for 14 years? People will never get sick of watching puppies. And Animal Planet is going all out this year as well, with pre-game coverage building up to the "Puppy Bowl" and even a halftime show. 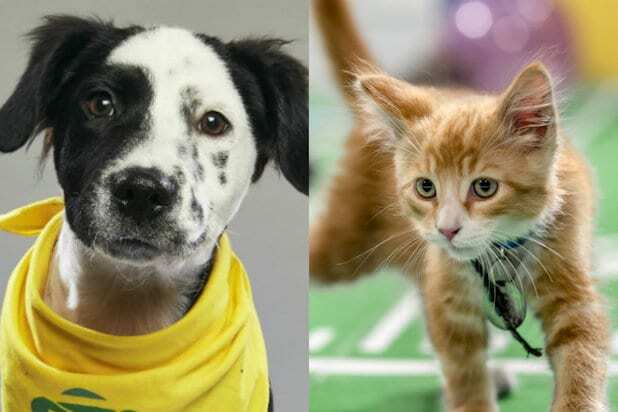 Somewhat different than the Puppy Bowl, the fifth annual "Kitten Bowl" on Hallmark Channel will feature over 100 "cat-letes" frolicking and playing over the course of 10 days. In purrfectly punny fashion, they'll compete for the "Hissman Trophy" and be crowned "Feline Football League Champions." Some of these kittens are survivors of Hurricane Irma and will be adopted by lucky families at the end of the show. Another Super Bowl counter programming tradition, AMC is airing another marathon of their flagship show "The Walking Dead." This year you can catch all 16 episodes of Season 3 moving into the wee hours of the morning. If you're a Trekkie but have recently binged "The Next Generation," you could check out this other Gene Roddenberry series, "Andromeda." It stars Kevin Sorbo as a captain leading an intergalactic crew to rebuild the Systems Commonwealth 300 years after its fall. The show ran for five seasons from 2000 to 2005, and Comet TV will be showing a 14-episode marathon of some of the highlights. Check here for local channels, or live stream here. Still in the mood for some sports? ESPN is airing "The World Series of Poker" on their main channel, but also a two-part, "30 for 30" special documentary "The U." The doc looks at the evolution of the University of Miami's football team in the 1980s. Discovery's show "Alaska: The Last Frontier" follows a family of Alaskan homesteaders, and this Sunday they'll air a "Super Bull" special that's a round-up of unruly cows, chaotic calves and other ‘super bulls’ that give the Kilcher family a hard time. Of course, you can always just take a nap and hide away in your room during the game. But be sure to wake up for a special episode of "This is Us," the longest episode yet, in which it's expected we'll learn how Jack Pearson died.